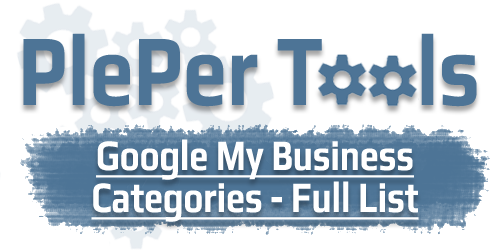 This tool generates а full list of Google My Business Categories. The list is not more than three days old! This categories are the same as the one you see in Google Maps. Table - you must check "Show results in table ( with option to search )" which gives the results in table with functionality to search. In both variants the results are in two columns : first column is the category ID ( GCID ) the second one is the name of the category. Hint : You can use diffchecker.com/ to compare results in English-USA and results in English-UK. The tool is free to use!